Help celebrate Joss Whedon’s 50th Birthday via the #ThankJoss campaign! Don’t miss out on tickets for our CSTS events this August! Serenity/Dr Horrible Screening & Trivia Night! We’re very excited to announce our latest charity auction! If you missed getting Richard Dean Anderson’s autograph at Oz Comic Con last weekend, we have one up for grabs! And you can’t go past an autograph from Sir Patrick Stewart! 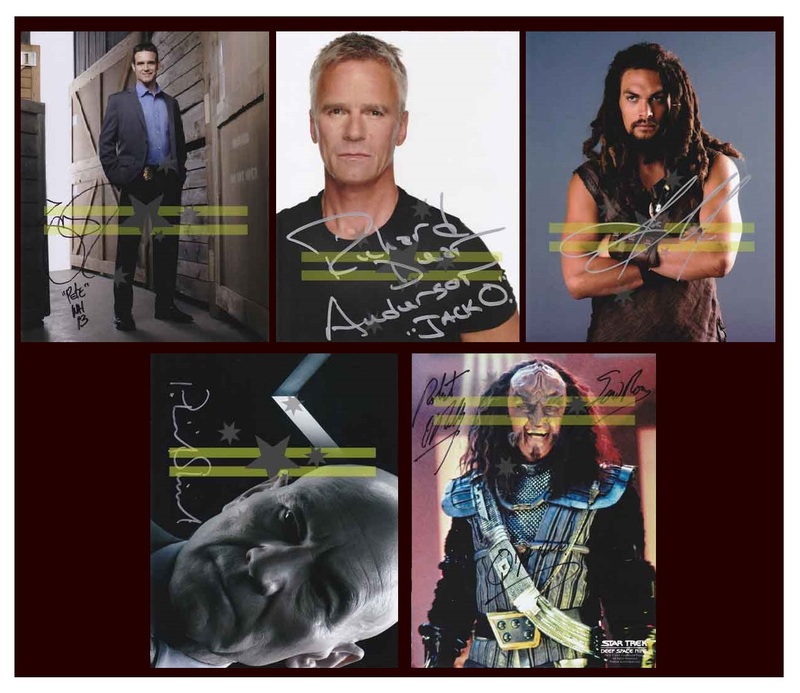 We’ve also got autographs from Eddie McClintock (Warehouse 13), Jason Momoa (Game of Thrones, Stargate Atlantis) and Robert O’Reilly (Star Trek)! The auctions are live now at bit.ly/nmbebay, with proceeds going to Equality Now as part of our Can’t Stop the Serenity 2014 season. Special thanks to our supporters at Oz Comic Con for donating these very shiny goodies.